How to share Syncfusion client resources like Scripts and Stylesheets with multiple projects ? To share the client resources like Syncfusion scripts and styles to different application from a common location. 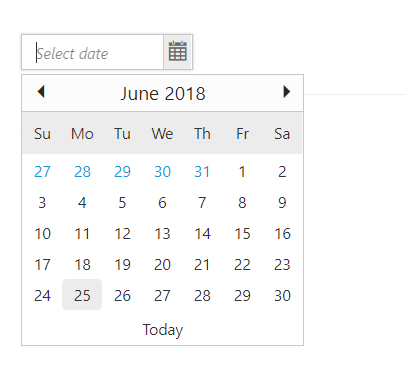 Add a common folder for multiple projects and refer required scripts and stylesheets to render Syncfusion controls from this folder. Step 1: Create two or more projects. 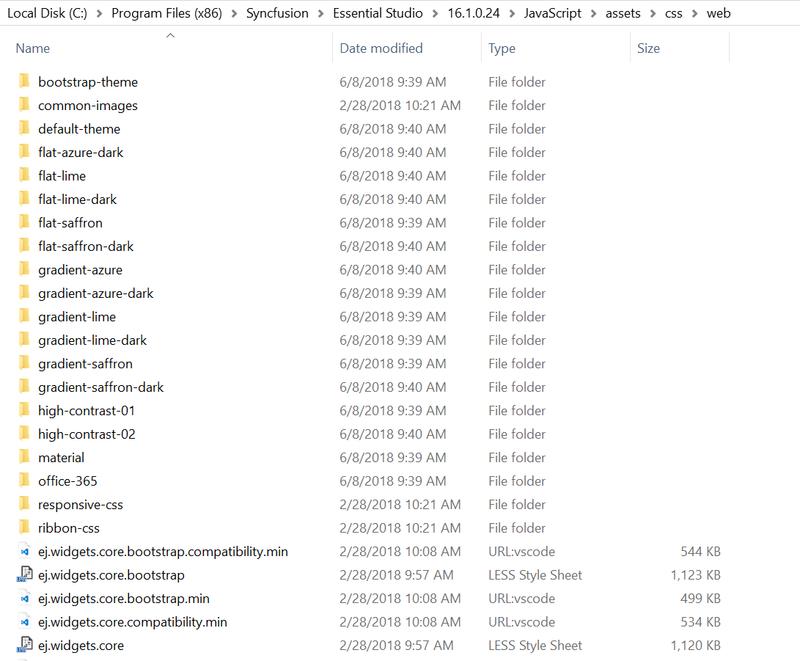 Create a common folder to copy required scripts and stylesheets within these projects as shown as follows. Common Files folder holds the scripts and stylesheets required for project 1 and project 2. 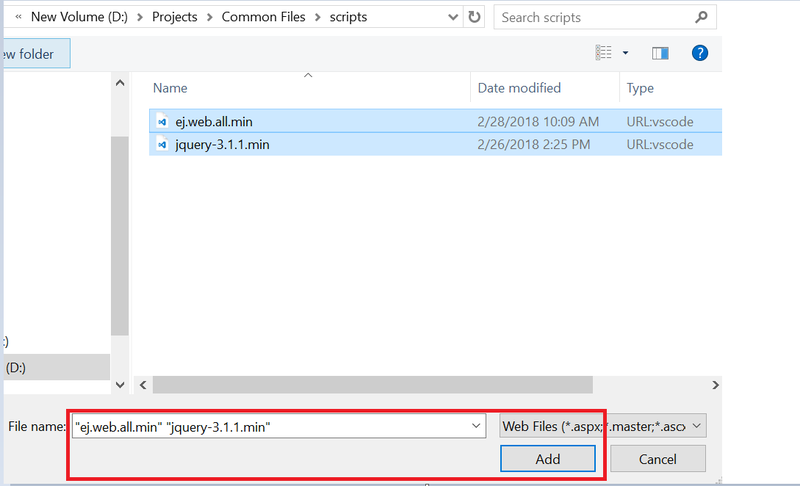 Step 2: Copy the jQuery and required Syncfusion scripts from the installed location inside scripts folder. Step 3: Copy the required stylesheets files from the installed location to content folder. Step 4: Right-click on the scripts folder in your project. Click Add > Existing Item. Step 5: Select the required files to be added and click Add button. Similarly, right-click on the content folder and refer stylesheets from the common folder. Step 6: Refer this path in the master page of your project. Note: In MVC, add these references to Layout page and in Asp.Net, add to Site.Master page. Step 7: Add the required code to render Syncfusion controls based on your project. Control will be rendered as shown as follows. By using this way, refer required files from common folder for multiple projects. While upgrading your product version, replace this common folder with the new script and styles.